In modern media culture, news stories blow up, consume us and then, in a matter of months, devolve into trivia, pop-culture reference material and, in the end, a footnote. Take the 1974 kidnapping of heiress Patricia Hearst. The case dominated America’s consciousness for most of two years, especially after she announced she had joined her captors, a homegrown terrorist group calling itself the Symbionese Liberation Army. Bank robberies, a shootout with police and a year on the run followed — along with her capture, trial and conviction. Today the story has all but faded into the fabric of our memory of the 1970s, just another crazy, expectation-upending event in a decade filled with crazy, expectation-upending events. In “American Heiress: The Wild Saga of the Kidnapping, Crimes and Trial of Patty Hearst,” veteran crime writer and legal analyst Jeffrey Toobin brings the saga back into focus. In engaging and breezily written prose, he shows that it’s more than a footnote to its time. In many ways, Hearst’s tale embodied its time, or at least the dark side of it. Toobin — whose book “The Run of His Life” was the basis for this year’s hit FX series “The People v. O.J. Simpson: American Crime Story” — deftly sets the stage by taking us back to the less-than-thrilling days of 1974, with gas prices soaring, faith in government and institutions collapsing, and violence by self-proclaimed terrorists escalating. San Francisco, once ground zero for the peace-and-love protest movement, had become the epicenter for a rising counterculture of anger and violence. One ragtag group, the SLA, was led by a prison escapee named Donald DeFreeze, who renamed himself Cinque, and included a cast of characters for whom experience-free radical education was an informing factor. After the SLA gained notoriety by assassinating a prominent African-American educator, it set out to take on the oppressors by kidnapping one of their own — Hearst. Political kidnappings were all but unheard of in the United States, so the taking of 19-year-old Hearst was doubly jolting. The narrative turned sideways two months later when, after Hearst issued a recorded statement saying she had changed her name to “Tania” and joined the SLA, the group robbed a San Francisco bank. The group made sure, Toobin points out, that the branch had then-new security cameras so that everyone could see Hearst toting a machine gun as one of the robbers. The search for a high-profile kidnap victim became a search for a bank robber. The nine members of the SLA, including Hearst, fled to a series of safe houses until they finally retreated to Los Angeles. There, on May 17, 1974, six of the SLA (Hearst was out on an errand with two others) were killed in a firefight with police, and the rest went on the run again before finally being caught in September 1975. 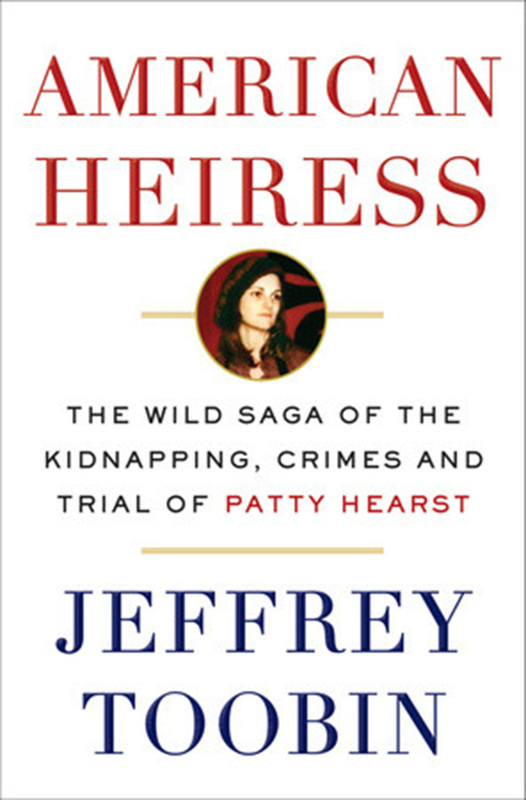 Hearst’s trial came down to whether she was a willing participant or was, as her lawyers tried to frame the case, “brainwashed.” Toobin leaves no doubt which side he’s on; throughout “American Heiress,” Hearst is depicted as a woman who, while not always having the final say on her own life, made her own decisions, whether it was becoming “Tania” or giving evidence against her former comrades. Although Hearst refused to give Toobin an interview, he went to extraordinary lengths to get as much primary source information as he could, going so far as buying a massive archive of documents amassed by one of Hearst’s surviving confederates, Bill Harris. What results is a terrifically detailed recounting of the Hearst case and its aftermath. But “American Heiress” is more than that. In telling this story, Toobin also opens a window on the surrealism of the ‘70s in a way that makes it all of a piece — and, in some instances, a harbinger of the future. In particular, Toobin’s recounting of the SLA firefight is one of the most chilling chapters in “American Heiress.” In little more than an hour, the LAPD SWAT team — a relatively new creation — fired 83 tear-gas canisters and more than 5,300 rounds of ammunition into the house where the SLA was holding out. The SLA, which had started the shooting, fired about 2,000 to 3,000 rounds before the house went up in flames. All of the action aired live on national television, thanks to a new TV innovation called the Minicam. And then there’s the Hearst case’s six degrees of separation. Again and again, Toobin illustrates how famous people got caught up in the saga in weird ways, from NBA great Bill Walton, who lived with the couple who had hidden Hearst and some of her SLA cohorts; to Sara Jane Moore, who helped carry out a big food giveaway by the Hearsts (one of the kidnappers’ early demands) and, a year later, tried to assassinate President Gerald Ford.